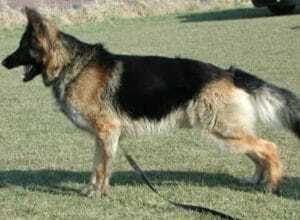 Cezar is a dark sable male German Shepherd originating in the Czech Republic. He is an athletic young dog with a happy disposition and a great deal of presence. A product of 50 plus years of selective breeding, he is an excellent representative of the old Czech bloodlines, with ancestors originating from the Iron Curtain days. So I suppose you could say he is bred to protect! 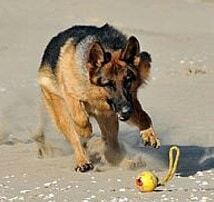 That said, he has an affable, friendly outlook on life and loves to run and play with his handler. Super social with people of all ages unless given a valid reason not to be, we are sure that Cezar will slip back into family life with ease and as he was raised within a family home he is well used to kids. Cezar gets on very well with other female K9s but as he is a large and dominant male we would suggest that he would not fit into a home with an existing male dog. 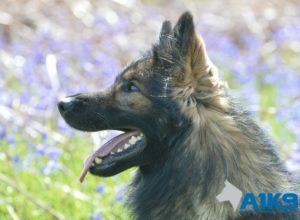 Cezar has proved to be very able in all aspects of his training and this coupled with his super temperament and character will we are sure quickly make him a firm favourite with many of our clients. 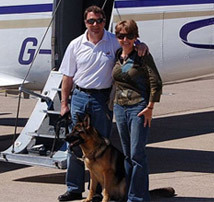 He will doubtlessly become a familys trusted friend and companion whilst also offering a very high degree of personal and family protection and in these days of increasing crime he will provide a much needed layer of additional security. 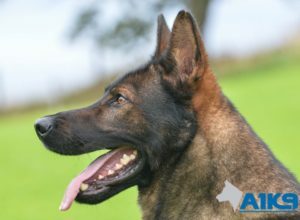 A1K9 Cezar is an Executive Level personal protection dog with lots to offer his new family. 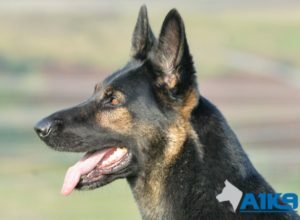 Looks, ability, breeding, this dog has it all!